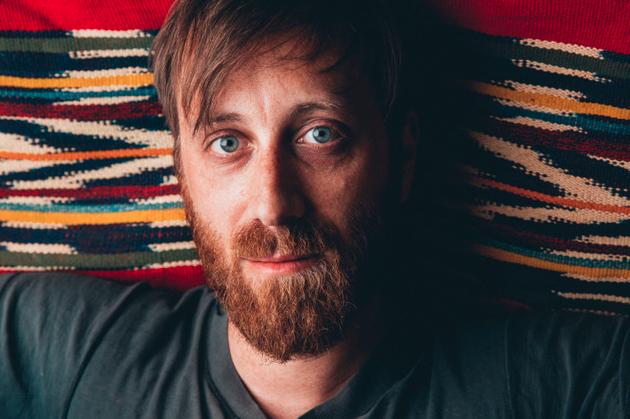 Dan Auerbach appears Saturday, March 24 at Union Transfer. It's not uncommon for recording artists to take a break from their bands and release solo albums that sound quite like their primary gig. Don't place Dan Auerbach in that camp. The cerebral singer-songwriter best known as the guitarist and vocalist of The Black Keys was compelled to expand his musical palette with "Waiting on a Song," an album comprised of breezy, melodic tunes that wouldn’t sound out of place following a Seals & Crofts hit. “It does sound like that and I think it sounds like that because of the musicians I worked with on this album,” Auerbach said while calling from his Nashville studio. Guitar legend Duane Eddy, Memphis session players Gene Christman and Bobby Wood joined Auerbach in the studio for the new album. The Akron native wrote with country singer-songwriter John Prine and Johnny Cash associate David “Fergie” Ferguson. The result is an album that doesn’t sound like a contemporary release. Auerbach is generally concerned about what’s up ahead sonically since the musicians he learned so much from are part of a dying breed. “I worry about the future of music since there aren’t a lot of these guys left,” Auerbach said. Auerbach, who will appear tomorrow night at Union Transfer with his backing band, the Easy Eye Sound Revue, wrote tunes with one of his most favorite songwriters, Prine. “When I listened to the playback of the early form of the song, I could just hear his guitar in there,” Auerbach said. Expect Auerbach to work on a follow-up solo release sooner rather than later. “I took a few years between (2009’s 'Keep It Hid') and this album,” Auerbach said. But all of the extracurricular activity doesn't mean that The Black Keys are over. Black Keys drummer Pat Carney is still tight with Auerbach. "We're good with each other," Auerbach said. "We didn't have to stop. We could still be on the road if we wanted to be on the road. We will get back together at some point. We've been friends since we were kids. There's no reason to stop. We have plenty of music left in us and the cool thing is that I have enough music in me that I can make solo albums as well." Dan Auerbach appears Saturday, March 24 at Union Transfer, 1026 Spring Garden St., Philadelphia. Tickets are $39.50. Show time is 8:30 p.m.